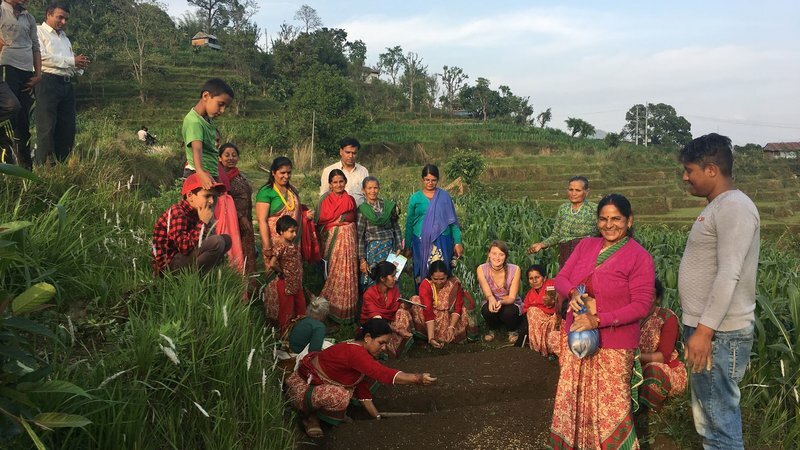 Rice planting in rural Nepal is perhaps the most significant agricultural event of the year. A successful rice harvest guarantees a family's ability to feed itself for the subsequent year. Rice is tremendously important in Nepalese culture, but farmers depend on traditional methods of production and are typically slow to adopt new practices. The result is deteriorating soil health and diminishing harvests. Climate variability and inconsistent rainfall exacerbates these issues, meaning practicing climate-smart agriculture matters. The farmers in my community were motivated to learn more about innovative new techniques for cultivating rice sustainably, but the laborious nature of tending to the staple crop left them with little free time to seek out new methods. We decided to apply for a USAID-supported grant through the Peace Corps' Small Project Assistance Program, with the goal of connecting the farmers with a nearby agricultural research university for a training series on new rice cultivation techniques. We wanted to provide farmers with information about the latest advances in rice propagation, targeting soil health, genetic diversity, pest management, post-harvesting and improved storage methods. 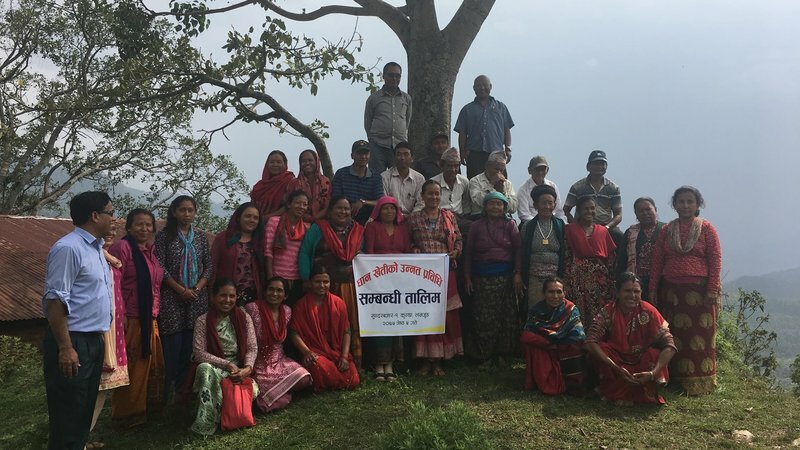 With the training series, the community hopes to address their need and desire to improve their own rice cultivation practices, all with the goal of pushing rural farmers to the forefront of rice propagation in Nepal. 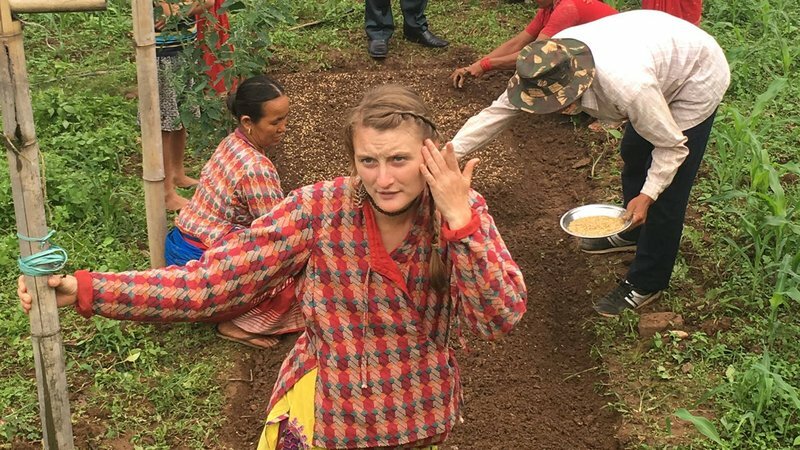 Hard, day-long physical labor is a fact of life in rural Nepal – but so is having fun and enjoying time with your friends and family. 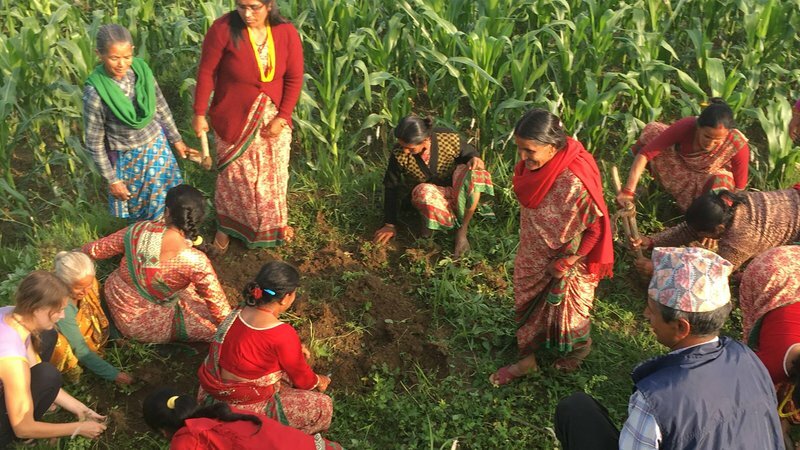 Here, the local mothers group is enjoying planting new varieties of rice seed, along with the professional instruction, provided through Peace Corps Small Project Assistance grants. Cutting grass is another essential part of Nepali life. 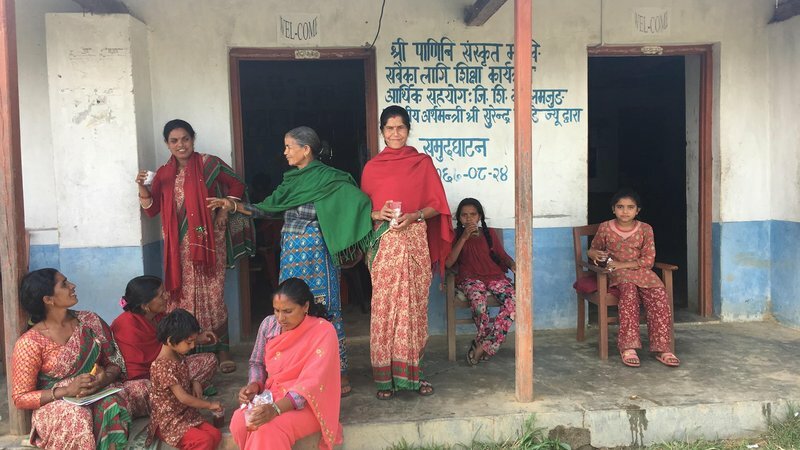 It not only provides food for the goats and buffalo whose milk and meat sustain rural Nepal and provide much needed protein, but also opens up valuable space for agricultural production. In this picture, grass is being cleared to practice the new method of planting drought-resistant rice varieties. Every family relies on their tools to accomplish their work and has a personal set that is closely guarded. Here, a fellow Volunteer puzzles over where her host family's tools were spirited off to post-training. In Nepal, the ability to joke and smile through the difficulties of daily life is highly valued. In this photo, a Volunteer entertains his favorite budi amma (grandmother) with his photo antics. Tea breaks are an essential part of life in Nepal. They provide a chance for the hard-working didis (older sisters) and ammas (mothers) to relax and socialize with each other during the downtime in their busy days. Here, they enjoy tea between the classroom and practical sessions of the improved rice planting grant. Group pictures are an important way to commemorate community and family events, and provide valuable story material for later on in the day or year, depending on how fondly the event is remembered. We found a big tree with a nice breeze to take our group picture. The project above was funded through the Small Project Assistance Program (SPA). SPA is a joint collaboration between USAID and the Peace Corps which allows Peace Corps Volunteers to participate with USAID in development efforts, helping communities to implement small, self-help activities, in sectors ranging from health to agriculture to small enterprise development. Click here to learn more about SPA. 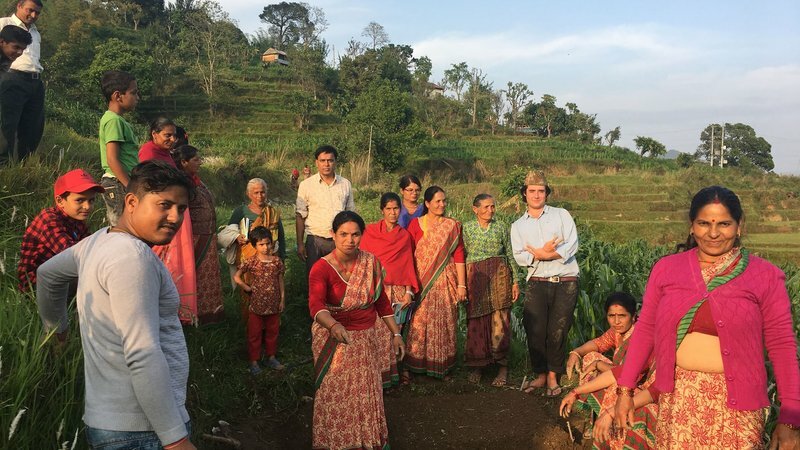 Colin McLaren is a food security Volunteer in Nepal. Colin is from Seattle, Washington, and graduated from The College of Wooster.